Armory is a mod designed around the concept of providing everything a player needs to fight. This includes swords, hammers, maces, flintlocks, guns, rockets, grenades, and anything that can be held that kills. It also focuses on giving armor without creating an over power mess or imbalance to the game. While also focusing on giving a rich crafting and customization experience. Now before you rush in and download the mod you need to know it doesn't provide all of this content. No, this is meant to be a content creation platform for addons to generate weapon via JSON files. These files are text files with a set format used to load in data. This means anyone can make weapons, armor, upgrades, ammo, and addons with no coding experience. What is the json system? Minecraft uses JSON files to load settings changes and renders in its versions following 1.8. To support this we have implemented JSON loading for almost everything we need. This includes blocks, items, tiles, entities, guns, swords, armory, etc. What does this mean for you? It means that content is not based on a set Minecraft version or mod version. This also means that content can be changed, replaced, added to, and modified to fit modpacks. If you do not like a weapon in your modpack... then you can change it to fit the pack. Additionally, this means that more content can be added just by simply making more JSON files. So how do you do this? We are working on an editor for this task but you can use any text editor. Just open an exist weapon, save as a new file, and changes any values you want. What are the values you ask? These are listed on the wiki on the mod's git page along with other useful documents. If you have any issues please report them to our issue tracker on Github.com. You can get to the issue tracker by clicking the issue button at the top of the mod page. If you do not see this button visit https://github.com/BuiltBrokenModding and navigate to the correct mod repository. If you have a crash report please paste it into a site like pastebin.com before submitting to improve readability of the issue ticket. Q: Is this a new Flans? A: Depends on how you look at it but no. The Armory mod is not designed to replace or compete with Flans mods. However, it will have similar content that may not take other mods into balance. This will include a large range of guns that may be more powerful than flans and some less powerful than flans. The goal, after all, is to make content to match the real world, modpacks, or a set design. Q: Why so little content? A: Content is meant to be provided by addons to improve flexibility in making modpacks. This is why the mod has almost no content outside of test gear and basic ammo. Q: Why not include the content in Armory itself? A: I want the mod to be as flexible as possible for modpack developers. Adding content inside of the mod limits this flexibility and forced content on those who do not desire to use it. Additionally, the mod is not really designed to be downloaded by the user directly. Thus the goal of supporting modpacks as the main source of downloading the mod for users. Does Armory currently just support guns and turrets, or are melee weapons and armor available? If it does, I can imagine so many uses for it. Melee weapon support was just added last month. As well support for the new entity effect system and minecraft's potion system on all weapons. Not sure if the beta version is the one with the support but any of the newer alpha versions will include it. Armor support will be added here soon to meet the needs of a few modpacks. 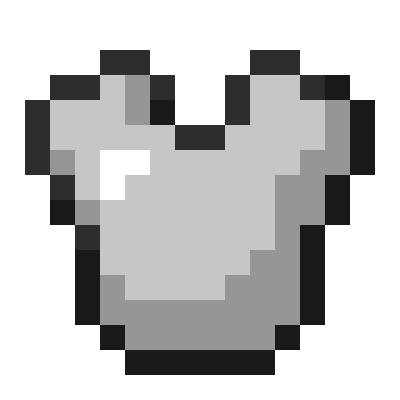 The first version will be basic allowing for vanilla armor. Later versions will support full power suits system additions via JSON. Cool! I'll definitely try it when it becomes more finished. I would love it if the armor supported full suit effects (effects that only happen if you wear all four prices). Whenever I see the Akliz banner, I automatically know the mod is for 1.7. Maybe I'm seeing things, but they just don't seem to sponsor anything current lol. Most likely seeing things, or just seeing a lot of our mods. We have some 42 projects that all use that banner. Yes, the content is JSON files but it still requires a 'mod.class' to load & '.jar' to package the files together (models, textures, JSON data, etc). This way forge will load the addon as a normal mod to reduce the need for complex install. In other words, just add the addon to your mod folder like any other mod. We will add some right before we change from experimental to release on curse forge.